Samsung’s faulty Galaxy Note 7 is an unprecedented screw-up. First reports of exploding Note 7s started popping up in late August, and it’s taken Samsung a long time to announce an official recall with the US Consumer Product Safety Commission. Now the Galaxy Note 7 is finally in full recall mode. Here’s what happens next. The CPSC has a detailed rundown of how the recall will work. The commission says it will be upgrading its Note 7 recommendation from “power down” to “return.” Affected consumers can either get full refunds for their phones or switch out for a new, non-exploding Note 7 device. Samsung says replacement Note 7s will be available at most US retail locations no later than September 21. Any phone purchased before September 15, 2016, will be subject to a recall. 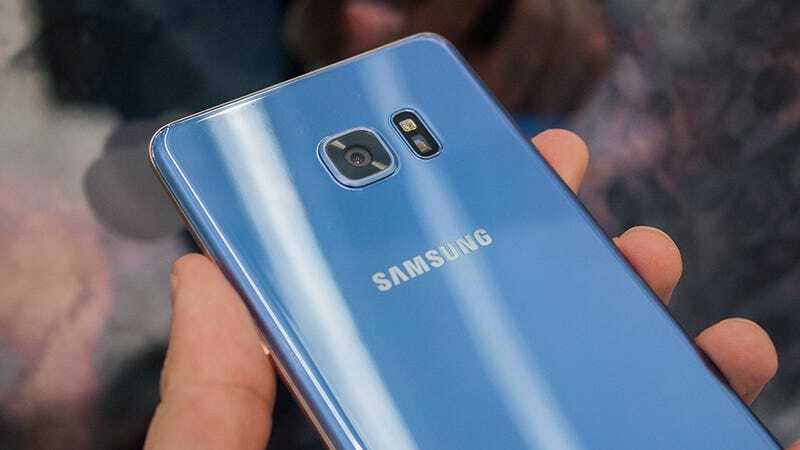 In order to find out whether your phone is affected by this recall, you can enter your IMEI number at samsung.com or you can call Samsung toll-free at 844-365-6197. To find your find the IMEI number, go to Apps > Settings > About Phone or General Management > Status > IMEI information or Serial number. It’s also located on the back of the phone, though Samsung has made it hard to read for design purposes. Here’s a quick contact reference for users who’ve purchased a Note 7 through carriers or brick-and-mortar retailers. If you have an affected phone, don’t delay. The CPSC also reported new statistics regarding Note 7 incidents in the US. According to the commission, the recall impacts about 1 million phones in the US, and that in the short time it has been available, the Note 7 has been the cause of 92 separate incidents with 26 reports of burns and 55 reports of property damage. A small percentage in general, but a huge defect when compared to other smartphones. Until now, Samsung was operating a voluntary product exchange program. According to at least one analytics firm, usage has hardly declined whatsoever. Just this week, Samsung announced in South Korea that a September 20 software update would effectively cap at-risk Note 7's batteries at 60 percent in the hopes of circumventing the phone’s battery flaw. The CPSC didn’t comment if a similar update could still be coming for US Note 7 users who haven’t returned their devices.